Game company Sony Interactive Entertainment recently released a brand new video of upcoming video game Days Gone featuring the protagonist’s motorcycle. 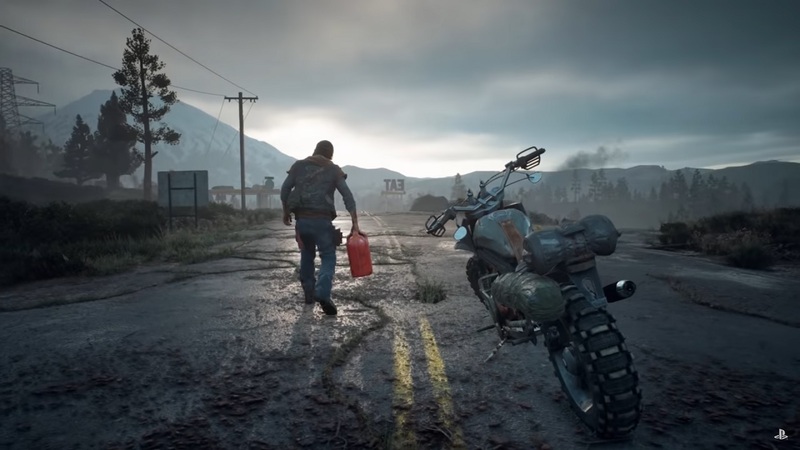 The new video of game developer Bend Studio’s open-world zombie survival game features the importance of the motorcycle and its gameplay in it. The video actually tackles on how it can be used aside from transportation. Players can upgrade the motorcycle at shops or repair it out in the world. The saddlebags can also store some important gear for the main character. There are some bounties that can offer some big rewards for players. In order to participate, players need to have the required engine and nitrous boost, which means they will need to upgrade if necessary. The latter upgrade actually helps in getaways. There are also some points of interest in the world featured in the video. These are safe houses that Deacon can sleep in and to stay away from the night time when the Freakers are the most active. There are also some infestation points that need to be cleared in order to unlock them as travel points. Medical stations are present too called the Nero checkpoints and are kind of challenging to get inside. The game will launch exclusively for the PlayStation 4. It will be available on April 26.